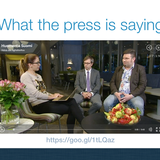 Pieni piiri is now creating the world’s first 100% digital elderly care organisation. 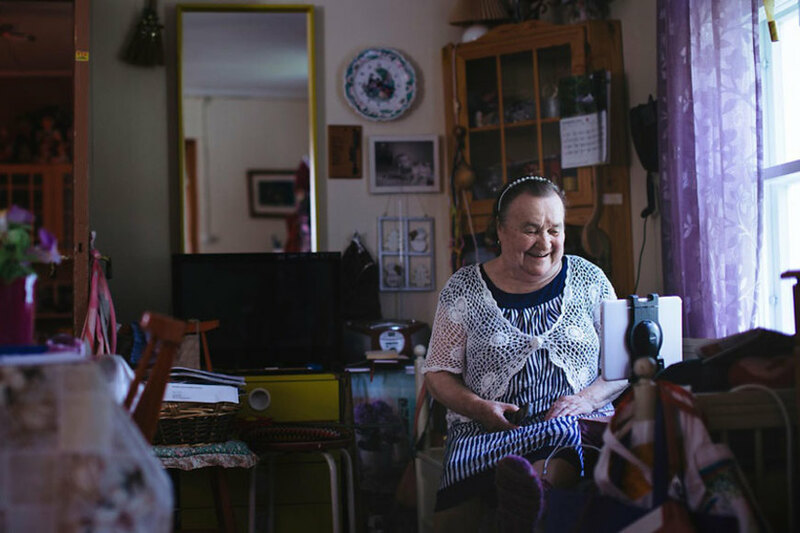 With our proven and well established software platform, we aim to produce digital care services to the homes of thousands of elderly customers. 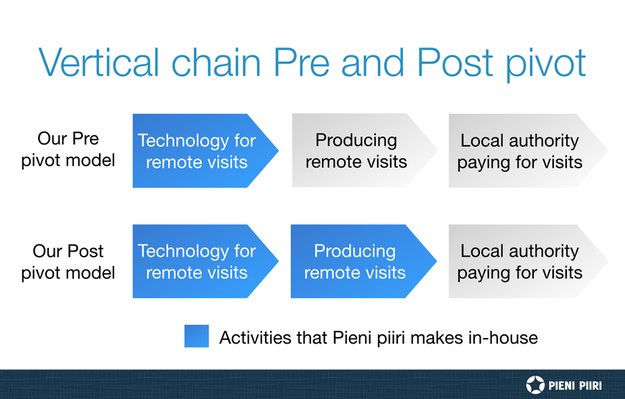 The story of Pieni piiri began in 2010, with a recently widowed grandmother. Founder Matti Kari's granny was in good physical condition, but Matti soon noticed that she was almost completely lacking in peer contacts. 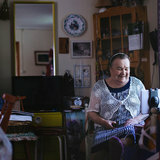 It was soon discovered that she wasn't the only one suffering from isolation and loneliness - up to 50% of the elderly receiving home care report feeling lonely in countries across the Europe. 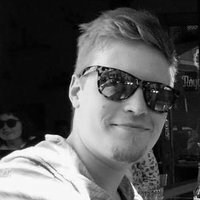 As one of the co-founders of IRC-Galleria, the first major social networking service in Finland, Matti had some experience on creating new friendships: There's actually 300,000 friends in Finland that have originally met online in IRC-Galleria. 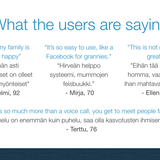 Matti decided to apply the principles of social media to help his granny. However, there were some problems that had to be overcome. For example, his granny had never used a computer, and refused to learn how to use one. It seemed like both the service and the needed devices had to be much more easier to use than anything on the market. 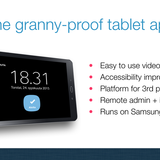 Pieni piiri was built as a “granny-proof” tablet application, now featuring easy to use interface, photo sharing, support for 3rd party android apps, and video calls, making the most natural social interaction possible regardless of abilities. Essentially, our application makes digital services accessible to elderly end users without any previous IT skills. After five years of trial and error, and the third major software version, we’ve now achieved a level of operational excellence that very few technology providers in the field have. 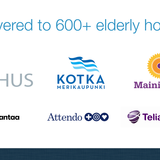 Our clients in health and social care, including the Hospital District of Helsinki and Uusimaa (HUS), Mainio Vire, the cities of Vantaa and Kotka, are now enjoying our efforts by using our solution to produce various care services to their customer’s homes. 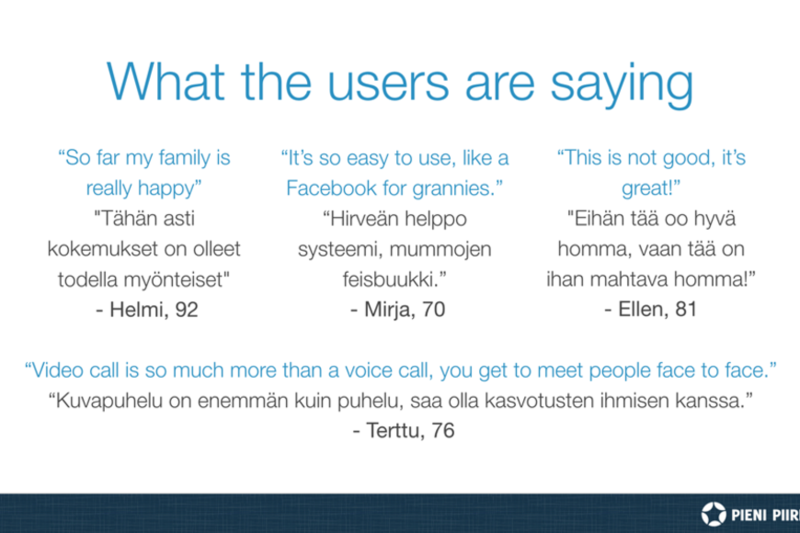 Most of our clients are using Pieni piiri to produce virtual home care visits. 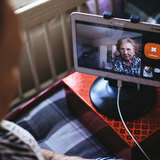 Home care workers use the video chat features of Pieni piiri to check if their customers have gotten up from their beds, if they’ve eaten, taken their medicine and such. 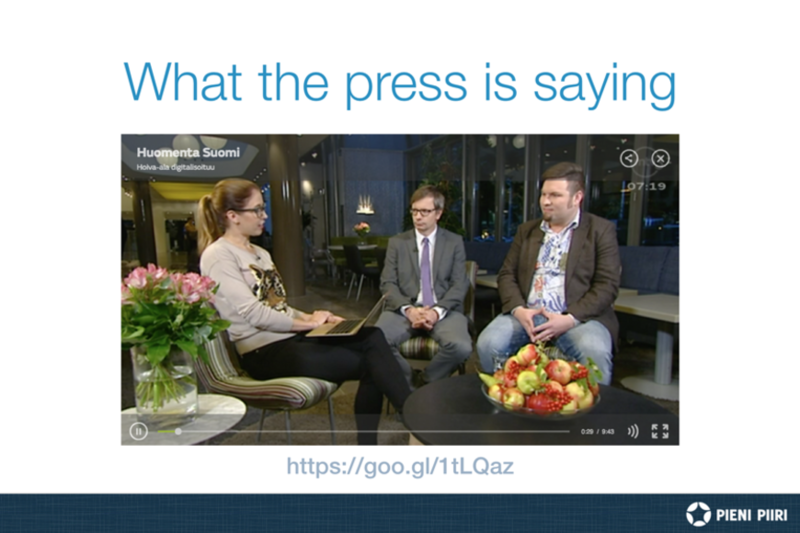 Various sources indicate that 10-20% of all the 34M annual home care visits in Finland could be virtualized. However, there are bottlenecks for growth. To gain the full benefit of virtual home care visits, and other digital health solutions, home care providers would need to drastically reshape their organizations. Instead of having their staff going door to door, and trying to fit a virtual care visit here and there, they would need to re-organize some of their staff to deliver the digital services. This would require commitment to both organizational change and vendor specific fixed costs - and most importantly, to services that may entitle the organizations to less revenue or budget funding than before. We believe the change is inevitable. We also believe, that only few of the current incumbents have the motivation and capability to drive that change. The change will happen through disruption, and instead of waiting for the change to happen, we want to lead that change by building our own 100% digital elderly care organization. 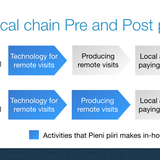 During past years Pieni piiri Oy has been generating some 100 to 200k€ of annual revenue. The revenue is generated through software licenses and support services, of which 99% is sold to private care providers and local authorities. 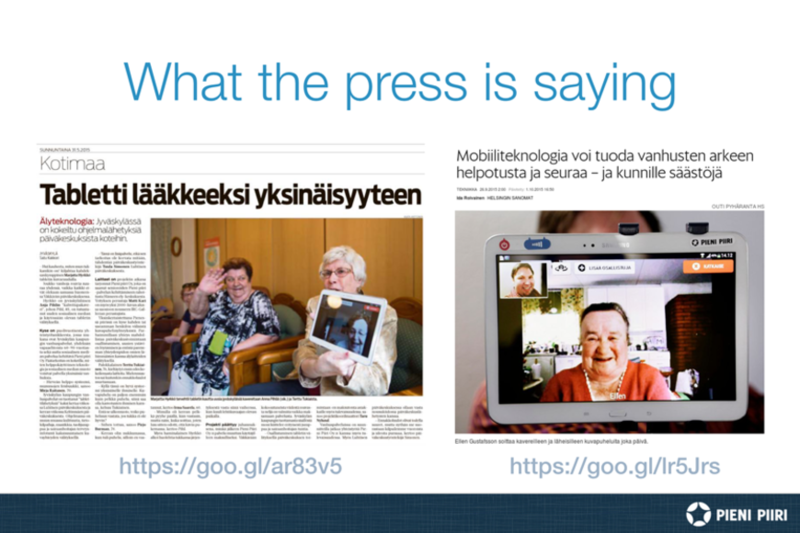 The local authorities, cities and municipalities, are mainly responsible for elderly care services in Finland. By building the new digital service organisation, Pieni piiri Oy will pivot from software business towards digital elderly care services. 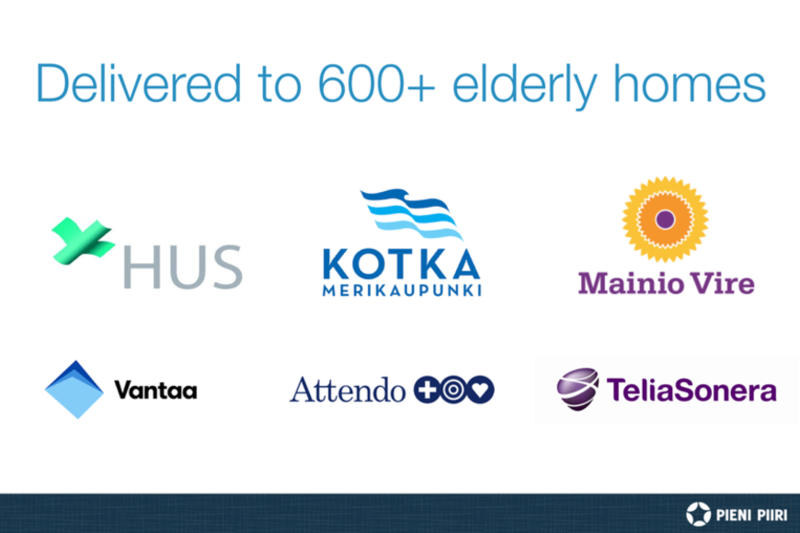 Initially our market focus will be in Finnish home care, but at later stages the company will expand to other elderly customer needs on new markets. 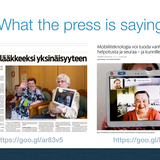 The total number of home care visits is 34M in Finland annually. Virtually all of the visits are paid by the local authorities, and around 80% are produced by them. Remaining 20% is divided between for-profit and non-profit home care providers, such as Mainio Vire, Attendo and Coronaria. 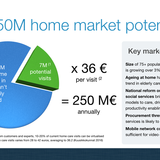 As the average cost per visit is 28 to 42 euros, the total market of Finnish home care is around 900 to 1,500 MEUR. 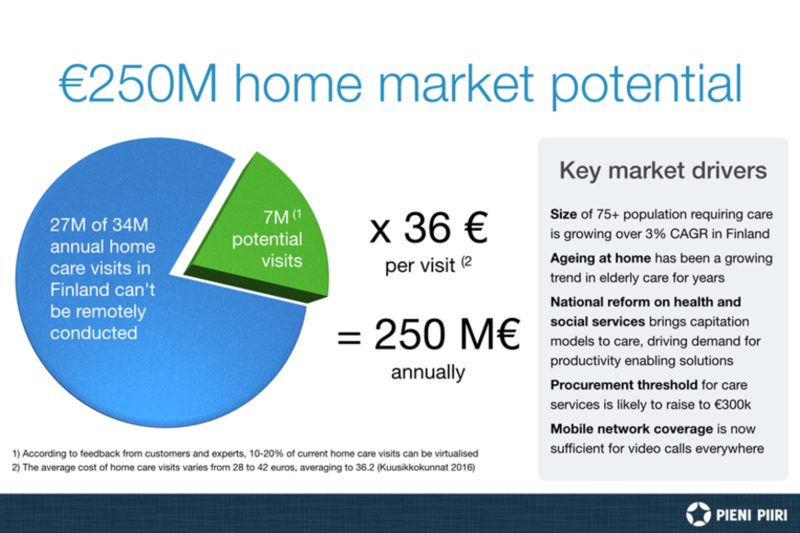 The market growth is mainly driven by aging population: During the past five years, the overall social and health care costs have been growing hand in hand with the number of over 70 year old Finns. In some of the larger cities, the demand for home care services is expected to grow 8-10% annually, which is in conflict with the aim of reducing public spending. Various sources indicate that 10-20% of all home care visits can be conducted remotely by using video call technologies. As remote care visits are typically shorter than traditional visits, and they don’t require any time spent on travelling, well organized remote visits are estimated to increase the productivity by 50-70%. 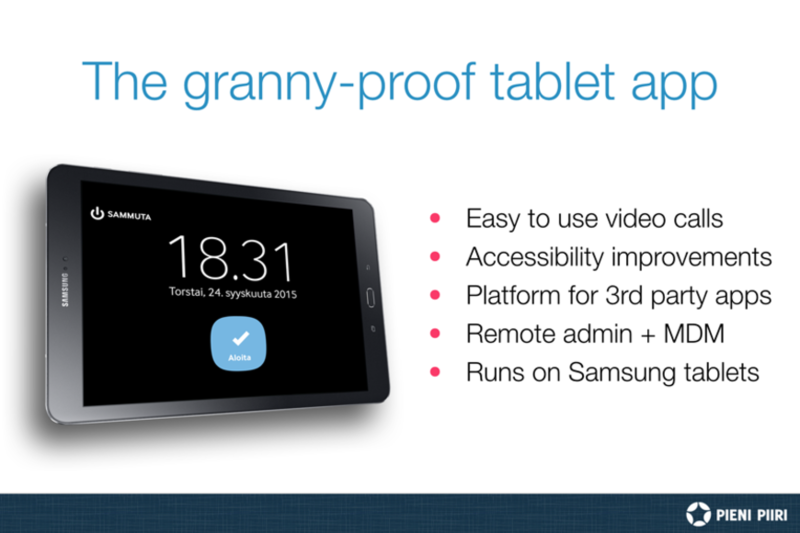 With our existing “granny-proof” tablet application and motivated care staff, we will be in a unique position to produce elderly care visits for our clients. Our clients include both local authorities, but also the private and nonprofit service providers who are in position to benefit of the increased productivity - for example the ones charging capitation fees. 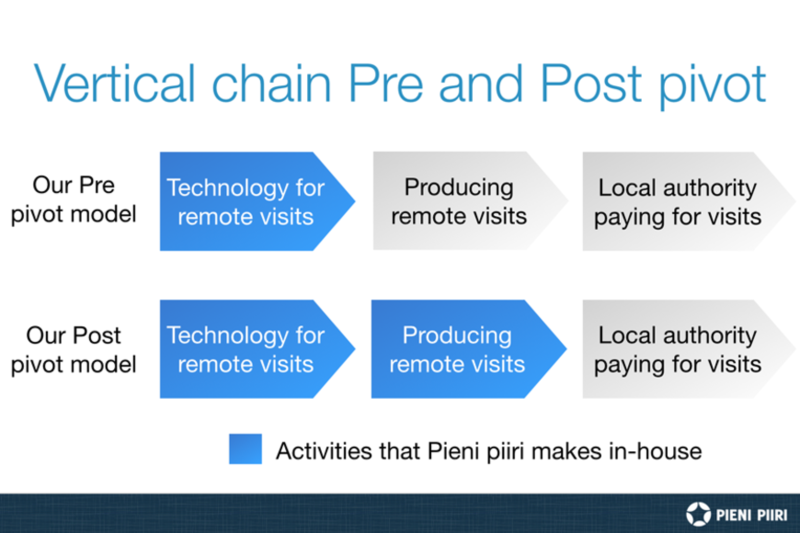 Our revenue model is simple: Pieni piiri Oy charges it’s customers per conducted remote home care visit. The price includes devices, connectivity, setup and maintenance costs, making the service convenient and easy to purchase for our customers. Our clients avoid all initial investments and fixed costs, which is important especially for the local authorities. To make our offering even more compelling, we offer a special recruitment programme where our client can outsource their personnel if required. In addition to increasing their home care productivity, our clients get the added value of increasing the social activity of their home care customers. 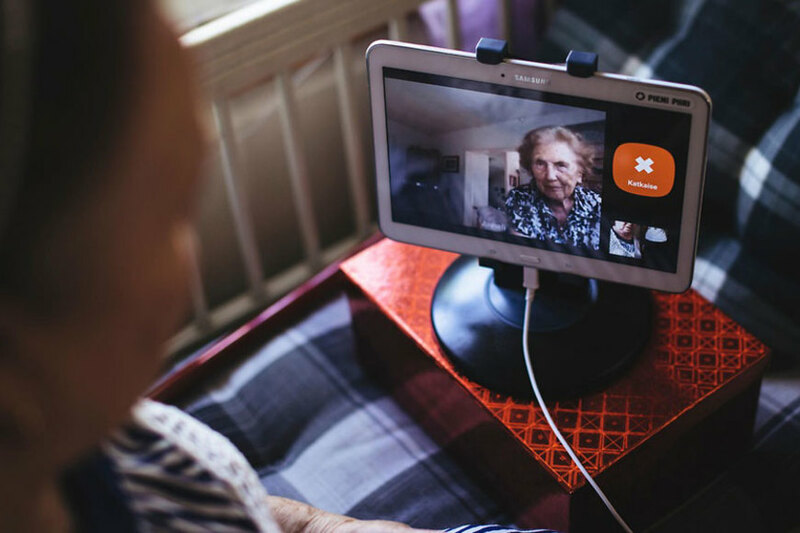 By providing the customers with and easy to use video chat to their families, friends and peers, we can reduce the loneliness and improve the overall quality of life of the elderly customers. In future, our elderly care services can be expanded horizontally to cover other specific elderly care needs, such as rehabilitation after hip injury or alzheimer diagnosis. With the right partners, our service concepts can also be taken to overseas, as our markets research indicates similar opportunities in UK, US and Scandinavia. In UK, almost 900,000 people receive a total of 318 million hours of domiciliary care per year. As the care is privately funded for over 200,000 people, UK market clearly has higher willingness for paying out of pocket than the Nordic. 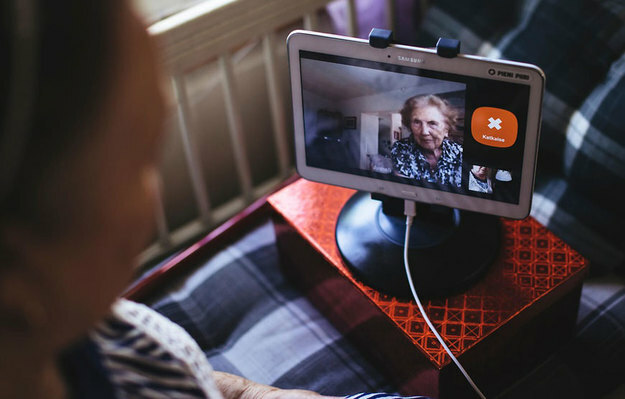 Combined with the integration challenges between NHS and local authorities, we believe UK market offers a great opportunity in hospital discharge and digital rehabilitation of elderly patients. In the highly competitive US care market, almost 5,000,000 patients receive services from home health agencies. US offers opportunities not only in privately funded home care, but also under Medicare advantage plans where the increased cost-efficiency of the care increases the care providers margin. The market differs very much compared to the Nordic one, with the strong tradition of public funding and production of social care services. Today, Pieni piiri Oy is running with a lean and mean management team consisting of Matti Kari and Mikko Järvinen. Our aim is to keep our fixed costs at minimum, and hire new home care professionals as we are acquire local authorities as customers. Social media pioneer and a serial entrepreneur by heart. Coaches frequently at Startup Sauna accelerator program, specializing in communications & PR, media education, music, and social media from A to Z. 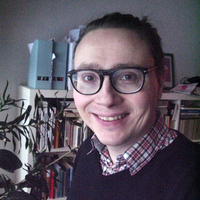 One of the founders of IRC-galleria, a Finnish SNS that reached over half a million registered users in 2009. 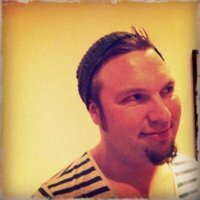 An experienced designer/developer with over 10 years of working experience from the field of web. Highly specialized in the field of mobile UX design for elderly and frail end users. Excellent knowledge of creating multi-platform services and applications, for web browsers and mobile devices. Loves new web tech and possibilities of getting connectivity and technology for users without the past of personal computing. 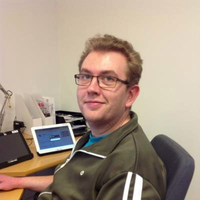 Mikko has a strong entrepreneurial background and over 15 years of experience in digital content and services. He has also been involved in a number of public sector R&D&I initiatives. 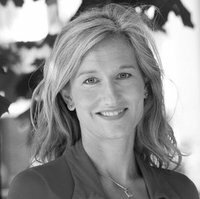 Nina is an expert in social and private Insurance, health and work ability management, HR-cost management, leadership and training, general management, organizational planning and implementing strategies.